Researchers at Cambridge University have found a relatively easy and early way to detect autism. Although autism has its subtle beginnings during infancy, the diagnosis is rarely made before three years of age (and usually autism is discovered even later than that). Since treatment is more effective the earlier it is begun, the possibility of early detection is truly exciting. Protodeclarative pointing — by fourteen months of age a normal infant will point at an object in order to get another person to look at that object. 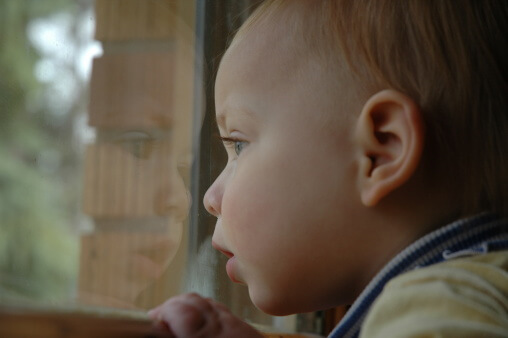 Gaze-monitoring — by fourteen months an infant will often turn to look in the same direction an adult is looking. Pretend play — by fourteen months children will begin to play using object substitution,.e.g. pretending to make tea and drink it out of a toy cup. All three behaviors are typically absent in school-age children with autism. Cambridge researchers looked at sixteen thousand children in the southeast of England during routine eighteen month well-child examinations. They checked to see if the children had evidenced each of these three key behaviors. Only twelve children out of the sixteen thousand consistently failed in all three key areas at their eighteen month check ups. Ten out of these twelve later proved to have autism. Of twenty-two additional children who failed in either one or two of the behaviors, none turned out to have autism, but 68% did later have a speech delay. This powerful screening test is remarkably simple, painless, and cost-effective. It promises to revolutionize the lives of the next generation of children with autism. If your child isn’t exhibiting these behaviors by 18 months of age, bring this to your pediatrician’s attention. Update: The 1996 Cambridge study was a revolutionary milestone in autism research. While modified versions of the screening test have been developed, the absence of protodeclarative pointing, gaze-monitoring, and pretend play by 18 months continues to serve as a powerful screening tool.